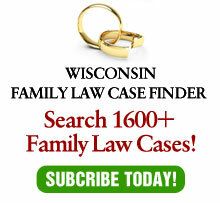 Here is a link to my article in the Wisconsin Law Journal on the child support legislation proposal. Apparently, the issue is moot as the legislator withdrew the proposal. Who knew that it was possible to embarrass a legislator?